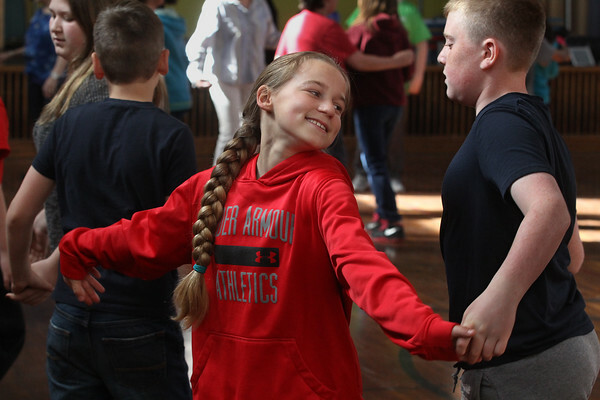 Fifth grader Zaila Dort performs a turn-out while dancing a polka mixer with classmate Dan O'Leary, right, during a ballroom dancing class Thursday at Beeman Memorial Elementary School in Gloucester. The fifth graders were rehearsing for the district-wide Mad Hot Ball, which will be held Sunday at Gloucester High School. At far left are Alexia Burby and Jakob Parpart.